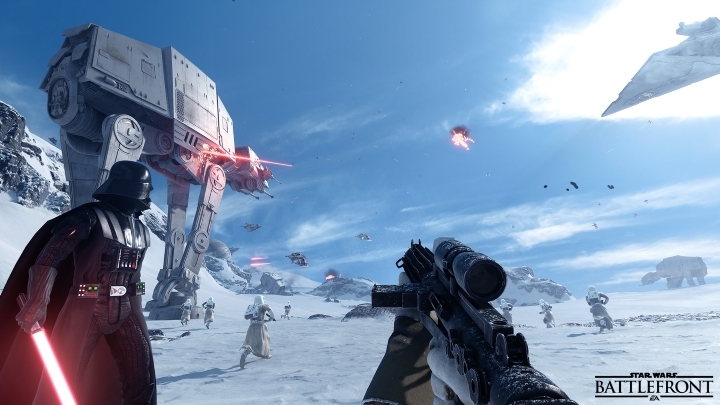 If one thing is clear, is that a game like Star Wars Battlefront does not need much in the way of promotion. After all, it’s a Star Wars multiplayer game that lets fans of the galactic saga live out their Star Wars fantasies, from taking out Rebel soldiers as Darth Vader to destroying Imperial Walkers on Hoth, and with plenty of eye candy to boot. If anything, the game has been criticized due to its lack of depth, as the experience wears thin after a while. 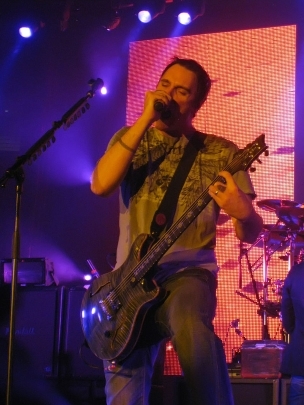 But Benjamin Burnley of American rock band Breaking Benjamin is apparently not pleased with the game. The singer claims that Battlefront publisher Electronic Arts handed him a copy of the game so that he would tweet nice things about it on his account, but he instead posted a picture of the game’s broken disc, and called Star Wars Battlefront a “piece of sh*t game”. Burnley also says in his tweet he’d rather watch the “godawful” prequel films (which actually did quite well on this website’s recent ranking of the movies) than play the game. And do all celebrities share his distaste for Star Wars Battlefront, or video games in general? Anna Kendrick, star of the comedy film Pitch Perfect, was hired to appear in a live action commercial for Battlefront which was quite original and clever, showing people vanishing from existence like Obi Wan in the original Star Wars film, to later reappear in the game itself (see below). But whether Kendrick plays or enjoys Star Wars Battlefront or other video games is a different matter altogether, though. But there are some celebrities like movie star Jamie Lee Curtis who are actually into video games, though. Curtis is known for starring in big blockbuster movies like James Cameron’s True Lies in the 90’s, but now gamers also know that she’s partial to video games too, as she has attended big video game events like Blizzard’s Blizzcon in a costume and later tweeted about these exploits. And the likes of Spectre star Daniel Craig, have also confessed to playing and enjoying video games every now and then, and even admitted his fondness for the Halo series, with his love for the game even hurting his relationship with his partner Satsuki Mitchell. And going back to Star Wars Battlefront, the fact that Breaking Benjamin’s lead singer dissed the game in a tweet does not appear to have had much of a negative effect, as the game is selling like hot cakes, making the number one spot in the UK’s top ten chart as well as being the fastest selling game in Star Wars history, according to GameSpot. This is likely because Star Wars fans the world over are anxiously awaiting the release of The Force Awakens movie, and those who are into gaming will likely pick up Star Wars Battlefront too, if only to sate their appetite for all things Star Wars until J.J Abrams movie hits the theatres in December. And recent trailers suggest the movie will be quite the blockbuster, and given that Star Wars Battlefront will be getting extra content the first week of December which ties in to J.J. Abrams movie, it is likely that the game will keep flying off the shelves, regardless of whether celebrities love it or not.